The most beautiful napkin I’ve seen! I wanted to share a free pattern with you. This is a decorative napkin for your home. See how fantastic it looks! The napkin is made in a beautiful purple color. It has an amazing stitch and texture. The motif of decoration is a beautiful flower. 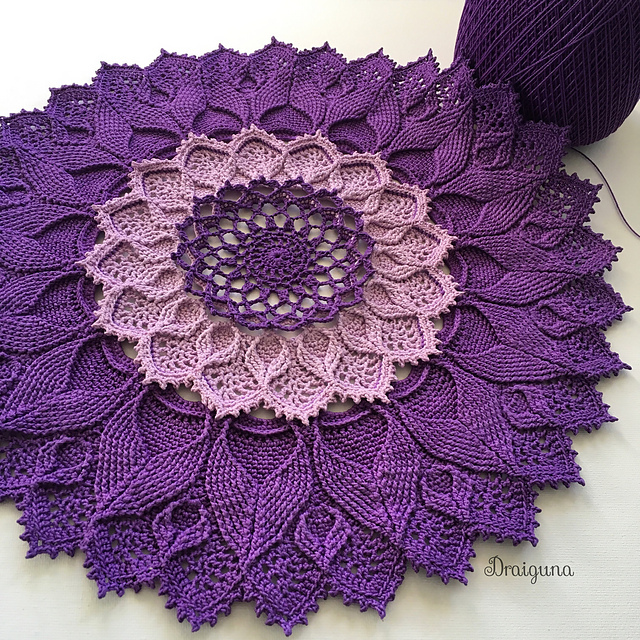 The suggested yarn is Aunt Lydia’s Classic Crochet (Size 10). The size of the napkin is 14″. You will need a 1.75 mm hook to work. Good luck! 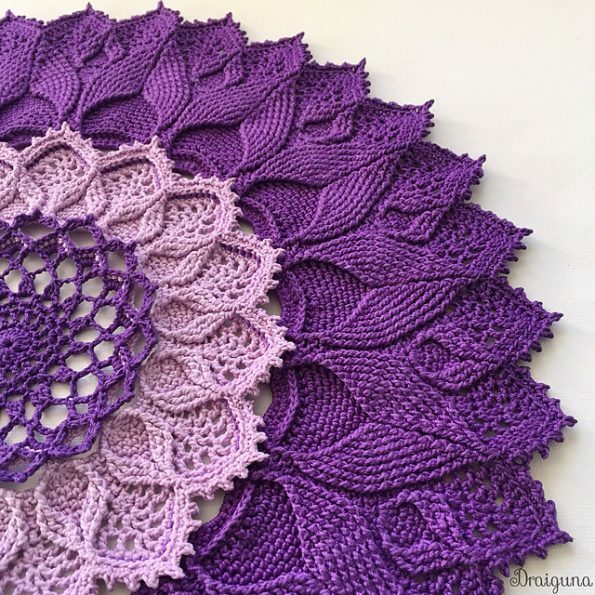 Evocation Doily Free Crochet Pattern is here.